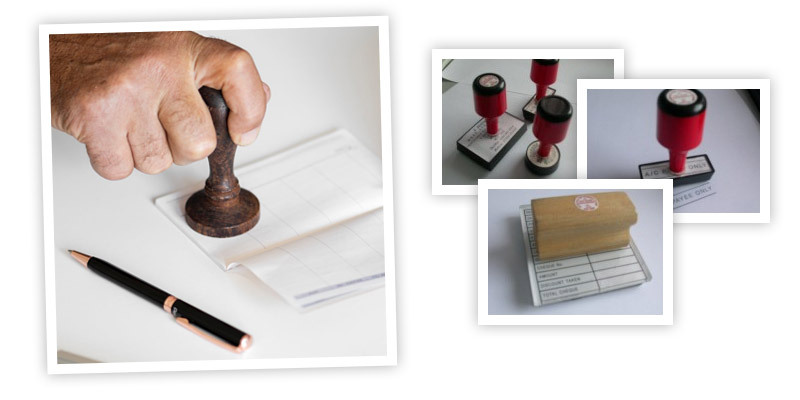 Traditional Rubber Stamps – The Manchester Rubber Stamp Co. Ltd. The die is manufactured from natural rubber and mounted on a plastic handle (Larger stamps use wooden mounts). A seperate ink pad is required to make the impression. Over the years we have maintained our high standards, always using the best skills and technology available. Our stamps are produced to exact customer requirements and design through high precision computer controlled laser cutting equipment and the latest cad packages.